With marijuana now legal in Washington, a proposal in the state Senate would grant automatic clemency for anyone over 21 convicted of marijuana possession after Jan. 1, 1998, the year voters legalized the drug for medical use. That could wipe out as many as 200,000 convictions for misdemeanor marijuana possession. Click here for the full story. 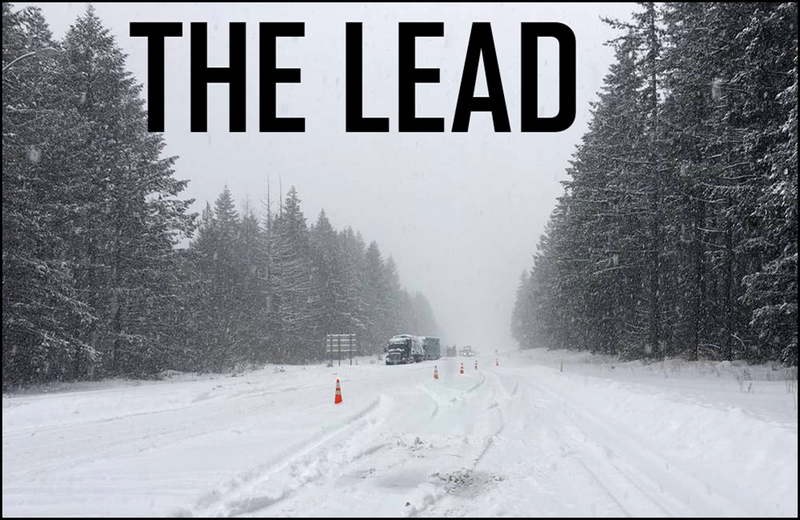 Hit by 4.5 feet of snow in the past few days, Snoqualmie Pass on I-90 closed down on Monday night, stranded more than 250 cars and semis on the pass. The hazardous pass conditions caused several crashes and spinouts. The majority of people who couldn’t make it down the pass before it was closed ended up sleeping in their cars. The stranded motorists were led out by WSP troops on Tuesday afternoon. Click here for the full story. On February 8, Governor Inslee issued a proclamation declaring a statewide state of emergency related to this week’s winter storm. We expect the proclamation to be lifted at midnight on February 15, 2019. State law allows the Office of Superintendent of Public Instruction (OSPI) to waive missed school days, and school districts will have the opportunity to apply to waive days that were missed while the state of emergency was in effect. However, there is no legal authority to waive the mandatory average of 1,027 hours of instruction for students. Click here for the full story. • FEBRUARY 14: Cabin Fever Quilters at Valley Fire Training Center, 6 p.m.
• FEBRUARY 14: Springdale Womens Club Meeting in Springdale, 7 p.m.
• FEBRUARY 14: Ladies Night at Brothers Bar, 8 p.m. Enjoy the tunes of local blues musician Forest Govedare as he brings his newest musical group DEEP FOREST PROJECT to Dan and Jo’s Bar & Grill in Valley at 8 p.m. Dan and Jo’s is a hoppin’ juke joint style place with good food and cold beer. “You can expect some high energy, electric guitar driven blues,” Govedare said. So get off the couch, turn the tv off and go BOOGIE! The Valley Warriors Against Cancer are hosting a Valentine’s Dinner on Feb. 15 beginning at 5:30 p.m. at the American Legion. There will be prime rib and chicken marsala. Dessert auction to follow the dinner. Please make reservations with the American Legion at 935-8464 or Darla at 937-4451. All proceeds go to Stevens County cancer patients and their families. Should you eat healthy? Come discover why the #1 cause of disease is diet and why more people die from eating than starvation. “Life and death are in the power of the tongue,” organizers of the event say. Learn how on Saturday, Feb. 16, 5 p.m. at the Senior Citizen Hall in Chewelah, 302 E. Main Ave.